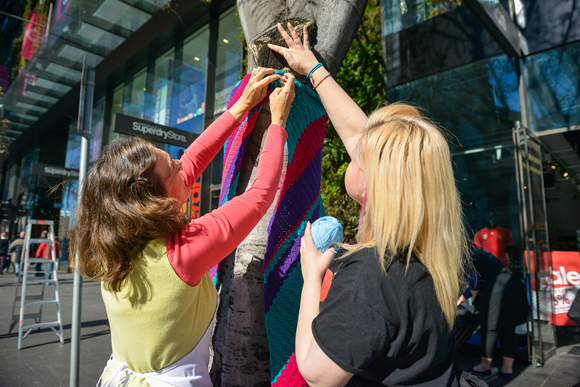 We teamed up with the Australian yarn bombing collective Yarn Corner to bring Urban Threads to life – a meaningful and intimate public art project at Sydney’s Central Park precinct. 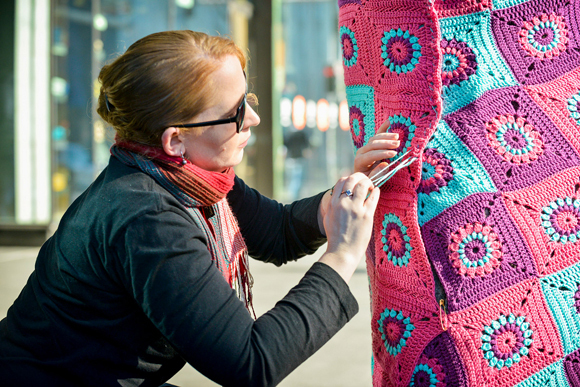 The word ‘urban’ and, more specifically, the phrase ‘street art’, generally conjure images of hard surfaces, flat and cold to the touch. They relate to ideas bright and dynamic, but the edges of those ideas are sharp. 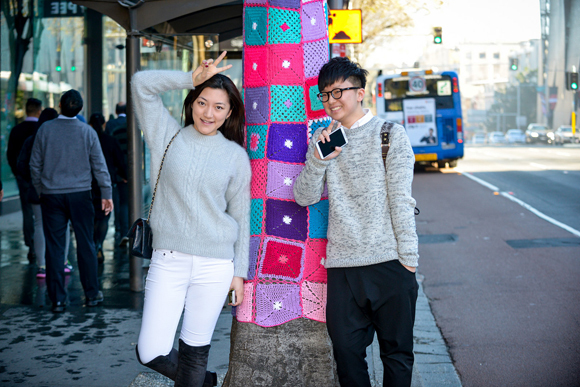 Urban Threads seeks to soften those edges, and to bring a personal touch to the Sydney cityscape that is gentler and more artisanal than what modernity begs of design. 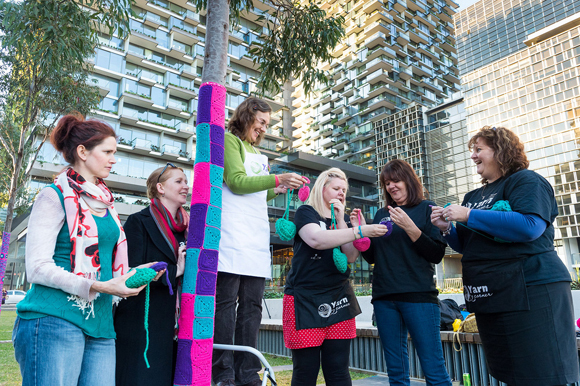 Staged in and around Central Park, a building well known to Sydneysiders for its innovative design that includes a cascading vertical meadow and hovering solar panel, Urban Threads adds to the utopian whimsy evoked by the building through a four-week yarn bombing activation curated and produced by Wiltshire+Dimas, and handcrafted by Melbourne-based collective Yarn Corner. 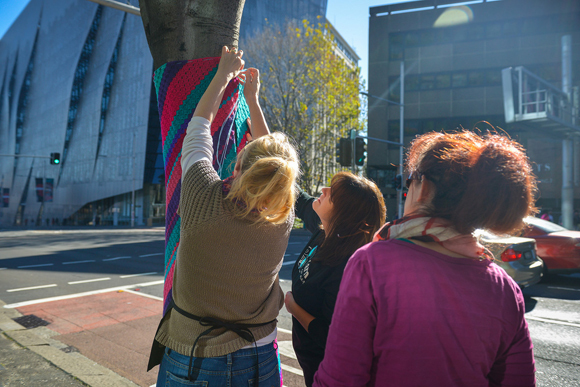 As part of Urban Threads, we presented a yarn bombing workshop with Yarn Corner, during which the participants created pieces to were used in the completion of the Chippendale Way yarn installation. 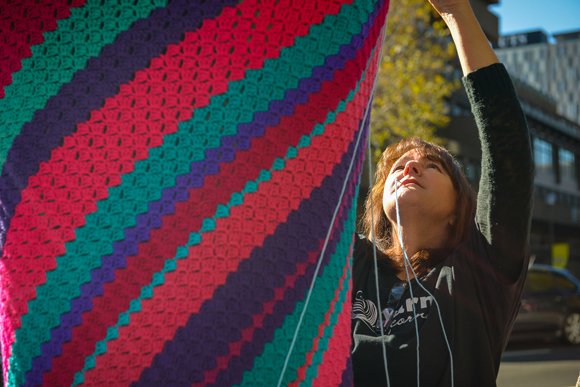 Throughout the entire four weeks of the activation, a video produced exclusively for Urban Threads by Wiltshire + Dimas screend on Central Park’s 15 metre 7MM digital art screen.